But First, Does This Scenario Sound Familiar? You’ve tracked the package online from your office. Your mind mixes memories of the product you sold to raise funds with the burning desire for something new. When you arrive home early that evening, you await the courier’s knock with eagerness and trepidation. You know that the thrill of the unwrapping ceremony will be drowned in a (harmless?) verbal bloodbath, the ritual of spousal wrath. But you’re armed with your timeworn excuse: “This will be the last one. This one’s a keeper.” You turn up the volume. Even your spouse admits it sounds good. With the Harbeth Super HL5 Plus, there’s a good chance you will keep the promise. It made me rethink the restless gear flipping so common among audiophiles. It worked magically with every musical genre including simple folk, complex orchestral music, classic rock, jazz trio and toe-tapping techno. If one speaker really sings with every genre and on several different types of amplification, why bother keeping other large boxes on hand unless you had more than one listening room? Check out the Super HL5 Plus info below. It is my favorite speaker! Harbeth’s world-exclusive RADIAL2™ technology has been transferred to the heart of the mini P3ESR. Designed and made by Harbeth UK, the RADIAL2™ 110mm (5″) bass/midrange driver offers the hallmark clarity and naturalness of the larger Harbeths. Breathtaking transparency, real bass, and fantastic holographic imaging endow the P3ESR with grand, captivating, transparent sound presented in a conveniently small and beautiful cabinet. Not only is the P3ESR capable of being used in a wide range of listening environments, but it is optimised to get the best from any amplifier. Whatever you ask of the Compact 7ES-3, it always delivers: perfectly. The clarity is spellbinding and brings the ‘magic carpet ride’ experience to the listening room in a medium-sized enclosure. The world-class HL Compact 7ES-3 takes the ultra-clean Harbeth-exclusive RADIAL2™ cone technology to another performance level. This medium-sized loudspeaker combines natural sound with a flair for reproducing any and every type of music. Harbeths: resolving and ravishing … Timbres so true, and resolution, too. Whatever amp I used, the tonality was superb. Never, ever, fatiguing. A refinement of the mid-sized BBC speaker (LS5/9), the multi award-winning M30.1 offers a smooth, controlled and well-rounded sound which excels on acoustic music. Featuring the Harbeth RADIAL2™ bass/mid unit from the reference M40.1, the new-generation M30.1 space-saving professional monitor disappears into the listening room. The M30.1’s outstanding midrange clarity and well-controlled bass brings music to life in a wide range of listening environments including front/centre/rear-channels in professional surround sound systems. It is the first choice for many professional audio engineers including Britain’s National Film and Television school and the British Library’s National Sound Archive. A sonic “Tardis” that fills the room space completely … the definitive Hi-fi speaker for the 21st Century. If it were a Michelin Chef, it would be given a 5 stars and a Rosette! 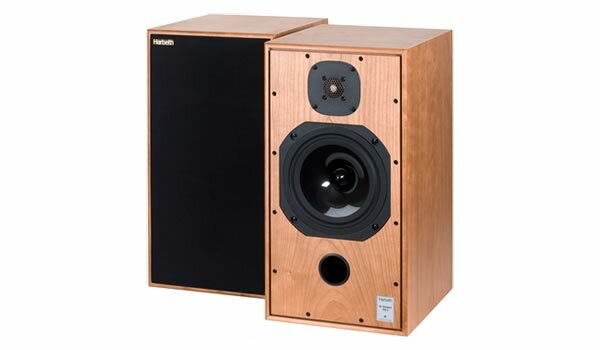 Harbeth’s Super HL5plus produces breathtaking transparency, a huge soundstage and total immersion in the performance. This speaker creates a rich bass and sweet midrange that brings acoustic music alive. This is the latest generation of Dudley Harwood’s original HL-Monitor: the cabinet is still engineered in the BBC tradition of removable ‘thin-wall’ panels for a totally true-to-life sound. Retaining the classic ‘two cubic foot’ proportions found in the very best BBC monitors, the HL5plus relies on the exclusive Harbeth-made 200mm RADIAL2™ bass/mid driver. This produces a big, warm and powerful sound that underpins the incredible midband clarity. Basically, the HL5+ is slightly more forgiving, nicer, warmer version of the M30.1 with a much bigger sound overall that scales and fills a room with less effort …. more in the vein of what the M40.2 does versus the M30.1 with the woofer underneath. It doesn’t have the same scale and resolution capability of the big boy in the lineup (the 40.2), but it’s just about the perfect compromise, imho. The HL5+ comes in a package that still has great WAF, can be placed in the room easier than the M40.2 big boys, and saves you enough money compared to buying the 40.2’s that you can go all out and upgrade your electronics, too at the same time. If you want the best, however, the M40.2 is still king – but you’re going to pay for it in money, size, and the quality of your front end. Everything mentioned above is entirely subjective, open to interpretation based on the source electronics used, room size and construction, speaker placement in the room, etc. WHAT IS THE HARBETH SOUND? Each of the Harbeth models sound considerably different by swapping cables and amplifiers, and DACs/players/servers. All of the Harbeth models, including the supposed nicer sounding C7s and SHL5+ do illustrate the differences in the gear in front of them and components can easily be evaluated in blind tests.. but all Harbeth models sound have the “Harbeth sound” no matter what you use in front of them. The generic description of the Harbeth sound is: relaxed, never trying to push any one part of the signal to the forefront, except a bit of a highlight in the vocal range to let it be tightened a touch without having to exert yourself to hear into the mix to find the vocal at the expense of the rest of the presentation that could be masking or covering it up. There is a purity of tone with vocals that Harbeth speakers are oooooh so real and present sounding, and with some models making the audio presentation just a bit more romantic than reality… but never forward, bright, etc. However, if you use really bright electronics in front of them, these speakers can’t work miracles and will let that brightness through, especially the M30.1! The midrange is colorful and rich…. acoustic guitars have the right type of resonance so that the wood body of the guitar seems to resonate in the presentation just like it would if the guitar was in the same room with you. This seems simple enough but an extraordinary number of speakers just can’t get an acoustic guitar to sound truly the same as it sounds in the room, or piano, or other stringed instruments like the violin or cello. We’ve all become accustomed to what we think is the true sound of a recording but most of us are really off base and are listening to music that is not damped enough and on the thin and possibly shrill side. Harbeth provides just enough richness that it sounds more real to me without going too far into fat and syrupy. Treble is overall more laid back than aggressive and pronounced but still there in its totality and very beautiful. Many are called, but few are chosen. It is a startling experience to sit in front of these large boxes [M40.1] and hear sound that has no box character at all. 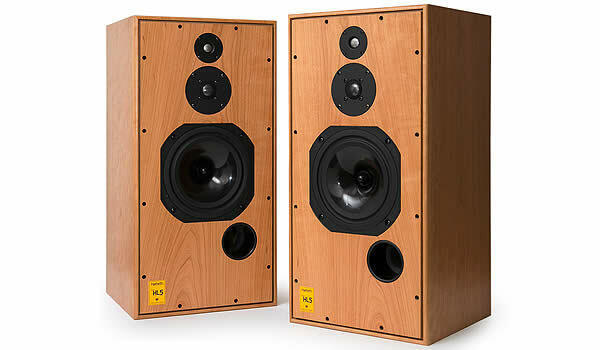 The Monitor 40.2 redefines the term ‘Reference Loudspeaker’. Built on the success of the multi award-winning M40.1, this new generation is the biggest leap forward in sonic supremacy since the design’s launch in January 1998. More efficient, more adaptable to a wide range of listening environments, perfectly balanced and more transparent and engaging, the M40.2 takes the Harbeth sound to a new level. With its mesmerising and addictive soundstage, Harbeth’s reference monitor produces a grand, dynamic and unforgettable sonic experience – far beyond conventional loudspeaker listening.You might feel that bigger is better but in reality, unless you have a huge listening room and really high grade and powerful electronics, you might be better off with the Super HL5+. The HL5+ plays loud and powers a large room nicely. It is much more friendly in terms of price, placement, and electronics. With the HL5+, your audio equipment swapping days could easily be retired. [x_accordion_item title=”Monitor 40.2 Voicing”]The Monitor 40.2 and the SuperHL5+ share a LOT of sonic similarities from 200Hz and up… except the 40.2 is on a different scale as far as the wall of sound it produces with its much larger box and 12 inch woofer making it a true three way (and a more than double MSRP price tag to go along with that fuller ranger response and bigger cabinet manufacturing costs).The M40.2 has waaay more weight and depth than the others and really needs two people to place it on and off its stand. It is a difficult speaker to position by yourself and does take up a lot more visual space than my favorite, the SuperSH5+.